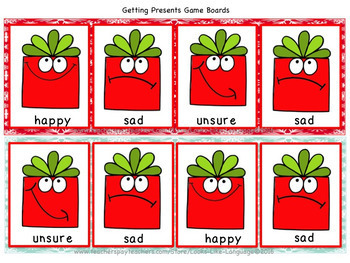 A fun, free game to practice social skills and manners for getting presents! 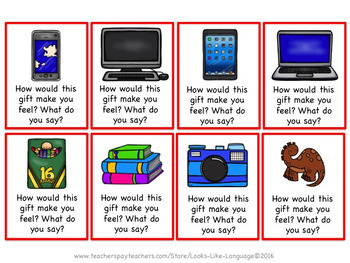 Students decide which presents make them feel happy/sad/unsure and say, "Thank you." 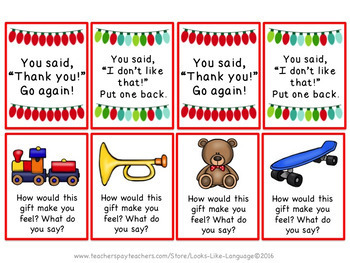 Or they can practice facial expression and tone of voice while saying thank you for a gift they didn't really want. What an important skill! Thanks and happy holidays to all of my followers! You might like to use this game with my book! 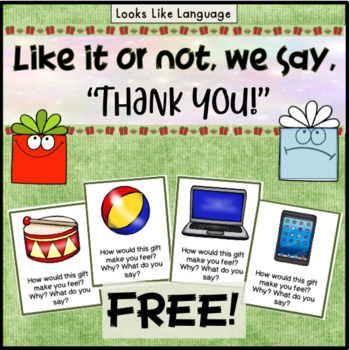 Social Skills Story- Saying "Thank You!"